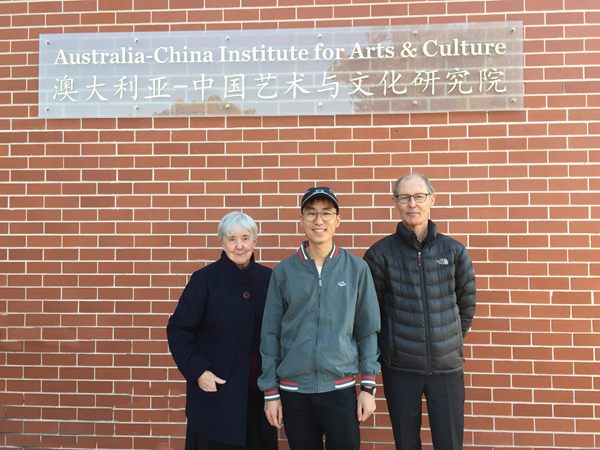 We are pleased to announce the award of the first Australia China Institute for Arts and Culture doctoral degree scholarship to Christopher Cheng. Christopher commenced study in the Institute for Culture and Society at Western Sydney University. He will be working under Dr Denis Byrne (opens in a new window) on "The China-Australia Heritage Corridor", a major research project funded by the Australian Research Council. The project focuses on people to people links between Sydney and Zhongshan City, Guangdong Province through documentation of buildings and other heritage places. Christopher Cheng, whose family come from Cairns, North Queensland, has already done field work in Zhongshan and is fluent in Cantonese so he will be able to contribute substantially to the research project.